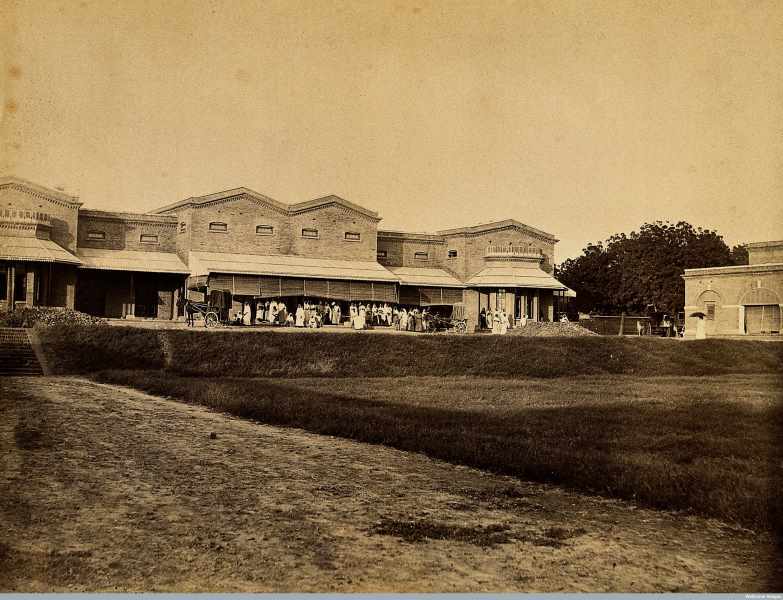 Lady Lyall and Dufferin Hospital for Women, Agra, India. Wellcome Library, London. The vicereine of India, Harriot Dufferin’s Fund for Providing Medical Aid for the Women of India, established lying-in hospitals, it trained local women in midwifery and funded medical education in the United Kingdom and Ireland for women who had qualified as medical practitioners in medical schools in Madras, Agra, Lahore, the Punjab and Calcutta; Indian medical schools had allowed women entry to diploma courses in the early 1870s. This was earlier than the large majority of medical schools in the United Kingdom. The records provide a wealth of detail of twenty-five applicants, their Indian qualifications, training and experience in the Dufferin Hospitals which were located in many Indian states such as Durbhungha, Rangoon, Partabjarle and Calcutta. These women were unable to progress in their careers as the colonial authorities did not accept Indian training as equal to that gained in Britain. The women could spend up to two years in their choice of medical schools, including the Female Medical School, Edinburgh, The Rotunda and Coombe Hospitals, Dublin or the Royal College of Physicians and Surgeons, London . Their experience varied from the newly qualified to the more experienced doctors, for example Dr D’Abru had been in charge of the Dufferin Female Hospital, Partabjarle for one year. For the three years before her 1896 application she had worked as the third Lady Doctor in Lady Lyall Hospital Agra and lecturer in Clinical Medicine and Surgery In the Female Medical School, Agra. The ‘lady doctors’, aged from twenty-three to forty-two, came from all over India; from different ethnic groups including Eurasians, Hebrews, Anglo-Indians, Portuguese, Bengalis and Burmese. The applications for British training and the letters between the ‘students’ and Lady Dufferin, both before and during their time in Britain, provide us with a great insight into colonial attitudes, the process by which women were chosen for the coveted British training and an opportunity to reconstruct their experiences.